Legend Bicycle prides itself on providing our customers with the best customer service and pricing possible. Just so there are no misunderstandings, please be aware of the following guidelines that we follow. Legend will accept the return of any purchase in its original packaging within 30 days of the time of purchase for a full refund with a receipt of sale. Purchases that are returned without packaging and are unused will be refunded less a 25% restocking fee. Legend can not accept returns of used merchandise. Bicycles that are returned within 14 days of purchase will be refunded the complete value in Legend Bicycle store credit. Returns will not be considered for special order merchandise that Legend does not currently stock. Store credit less a 25% restocking fee will be considered at the discretion of Legend Bicycle. We will provide a free estimate for any repair or tune up. This includes what we believe to be the most accurate estimate for parts and labor to do the job properly. Occasionally we will encounter an unforseen issue that will require extra time and parts than found in the original estimate. It is our policy to call the customer to explain the issue and explain any extra charges on the final bill before the work is done. It is always up to the customer whether or not they would like to proceed. At the time of the estimate, the customer will also be given an estimated time of the completion of the repair. Once the repair is complete, the customer will be called, and will be expected to pick up their bicycle in a timely way. Bicycles left beyond 30 days past the day of completion will be charged $1 per day for storage. Legend cannot be responsible for bicycles left beyond 30 days. 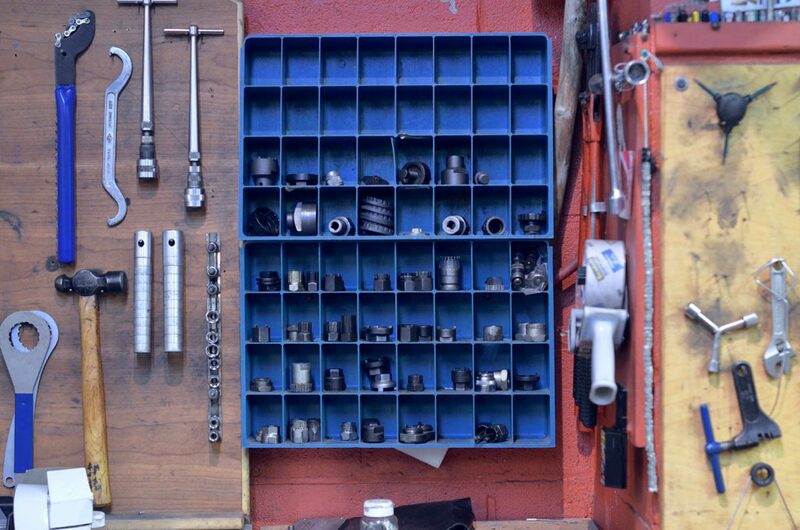 There is a $5 minimum charge for any repair work or adjustment to your bike.